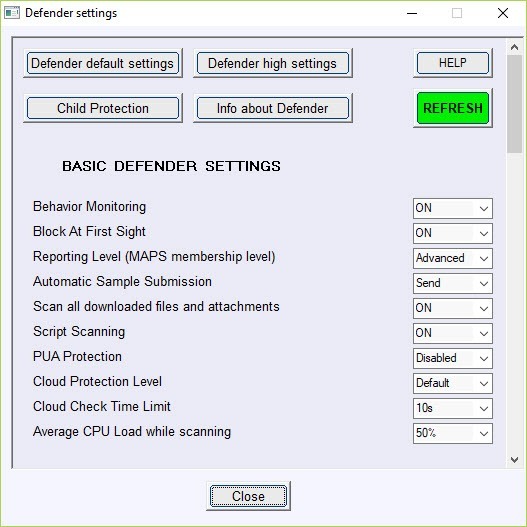 ConfigureDefender is portable software that helps you in keeping your computer secured and protected every time. You can rely on this software for protection against malware and limit the content available for the children. It is designed for Windows computers where Windows Defender – an inbuilt tool for protection – is already available. ConfigureDefender works in coordination with this inbuilt software and makes the use of protection settings easy for the users. Some technical experts believe that Windows Defender is not appropriate to cover all the dimensions of compueter. In that case, ConfigureDefender adds on the services provided by the Windows Defender, and thus it is a must. 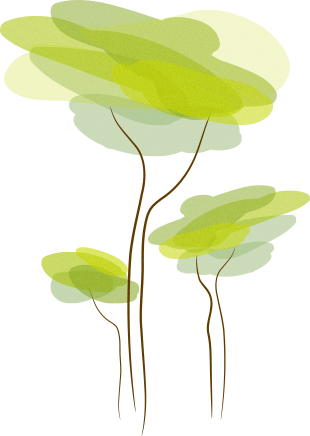 The best part of this software is that it is usable right after its download. You don’t need to install or run heavy setups to get it working. 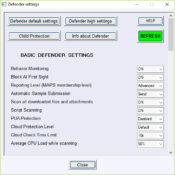 It means if you are not a tech savvy person who can protect your computer technically or make your Windows defending settings easy to use, then this ConfigureDefender is definitely for you. Some of the benefits include the presence of a single window interface to help the users, enabling and disabling the antivirus setting, blocking specific content and limiting the access of content to different users on the same computer. Overall, ConfigureDefender is a tool that can help you in giving your computer an extra layer of security without going way beyond the ordinary course of operations.